Sudan’s opposition has called for all the institutions established in the era of former deposed President Omar Al Bashir. The main figures, intellectuals and organizations of Sudanese opposition have been emphasized on the military council to end all institutions established in the former government. Chief Justice, the parliamentarians and the prosecutor general, who were appointed in the former government era, were removed from their positions. The opposition has emphasized the military council to hear the demands of people who hate and protest and create a committee consisting of civil members for their solution. On the other hand, the army has once again told the protesters that they should be peaceful. The Sudan’s armed forces have been asked to end the attack, open roads closed due to protest and do not interfere with routine life. 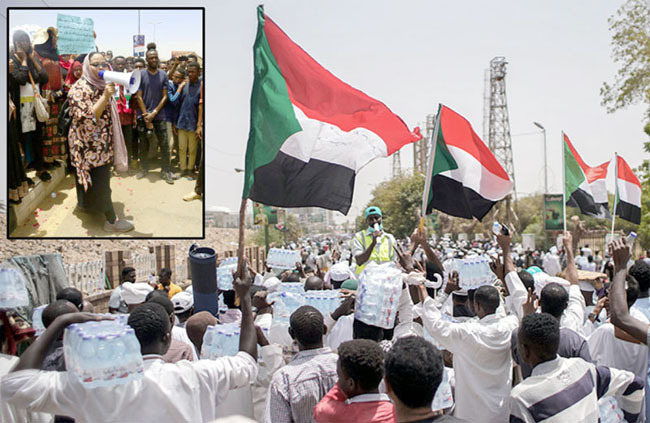 Armed forces have been assured to fulfill all the legitimate demands of protesters, however, the military headquarter in Khartoum continues to shake near. The Sudanese Professionals Association has assured that central demands will continue till the demands are fulfilled. These demands include the accountability of the former government responsible for the offense. After the occupation of the Sudanese army, after the occupation of the African Union, African Union has given Sudanese Journalists the ultimate metaphor to transfer a civil government. The African Union Security Council has stated in a statement that if the army did not move the ruling leadership within 15 days in Khartoum, Sudan’s membership in the African Union will be suspended until the government restoration. This statement also states that the new Sudanese government should be consistent with the public’s expectations. Along with this, it has also been demanded that after the separation of former President Omar al-Bashir, the ruling military council in the country should be dissolved.